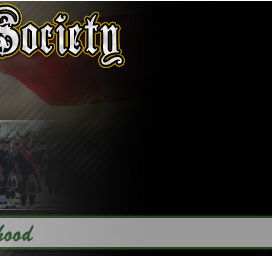 Welcome to the Camden County Emerald Society Pipes and Drums Guestbook. Your feedback is important to us. Feel free to leave your comments. I am posting in your book because a piper friend of mine had pointed out that one can play the Magnificent Seven on pipes, and when I searched I found your video. I enjoyed it a lot, playing it on the field, no backing track or other embellishments, well done! Great site guys. Keep up the outstanding work, say hello to Mike Nelson for me. Rank/Title: Captain/Upper Darby fire Dept. New website looks great ! Some of my proudest moments were marching and playing with the band honoring fallen brothers and sisters. Hope to stop by for a brew(s). Great job ! to all in ccespd a very happy and safe easter,and see you all on the 30 of april, ken lyons. CCESPD I would like to say thank you for yet another awesome time. You continually out do yourself! You sounded phenomenal as usual and I cannot wait to hang out again. Be safe Brothers ! !